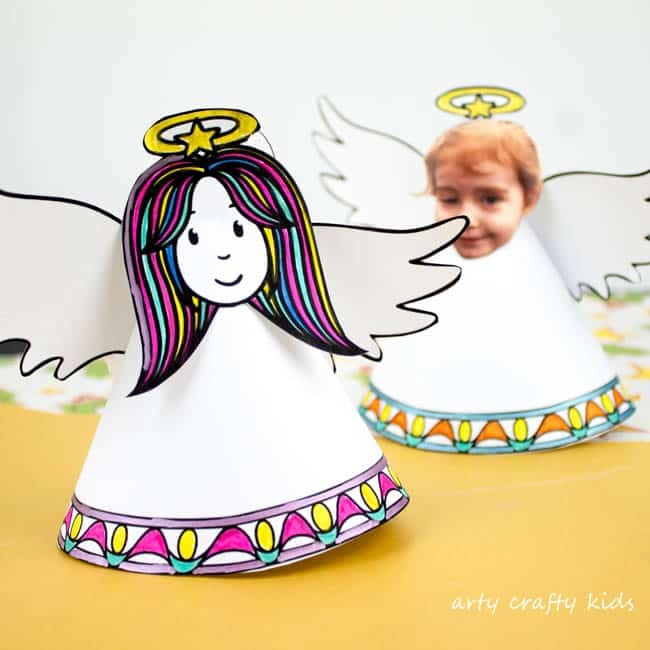 La La la the Angels have arrived at Arty Crafty Kids! 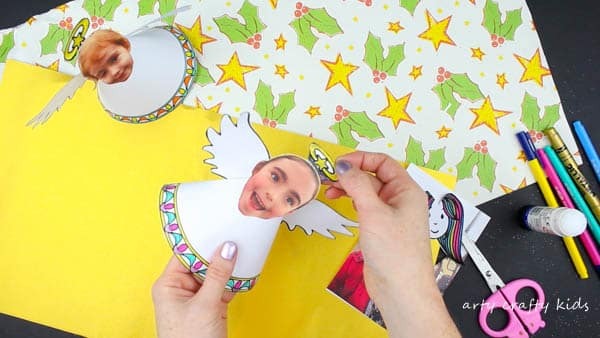 Transform your little darling into a Paper Angel Christmas Ornament with our adorable downloadable template. 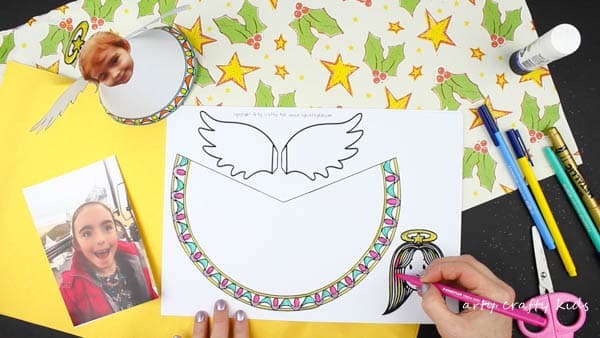 The angel can be coloured in, left as it is or even embellished with your child’s artistic design. 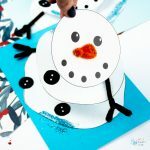 The simplicity of the craft allows for your Arty Crafty Kids imaginations to take over. Personalised and unique, the Christmas Ornaments will look charming displayed on the Christmas Tree and will become a treasured keepsake for years to come. A Photo of your Arty Crafty Kid! 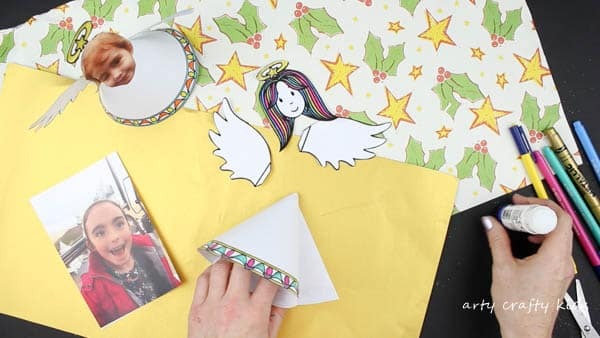 The Paper Angel Template be accessed the Arty Crafty Kids club – Join to access our complete library of art and craft templates! 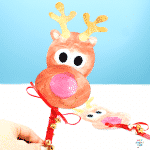 We’re currently in full Christmas mode and have a very exciting collection of Christmas themed finger-puppets and movable paper puppets coming within the next few weeks! Step 1: To begin, download the template and gather your materials. 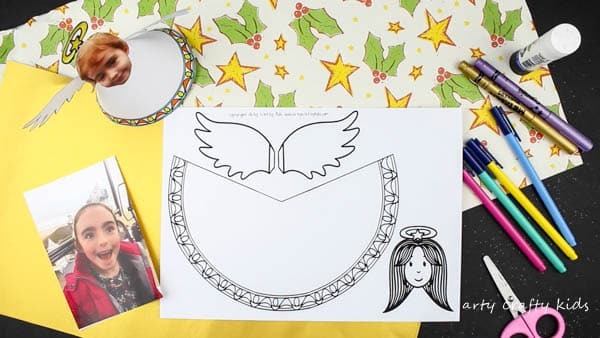 With our template, your Arty Crafty Kids have the choice of coloring in an Angel’s face or/and using their own photo! Once you have downloaded the template, make sure you select ‘fit-to-page’ in the printing options! Step 2: Colour in the template with your Arty Crafty Kids choice of medium. We used coloured felt tips and metallic pens. 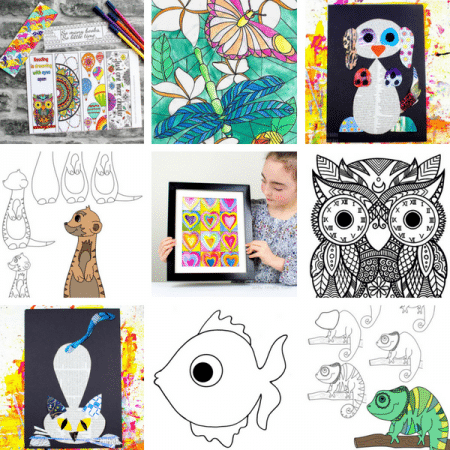 With the blank wings and body, your Arty Crafty Kids have free reign to create their own designs – encourage them to get creative! Perhaps add glitter or sequins for some extra sparkle. 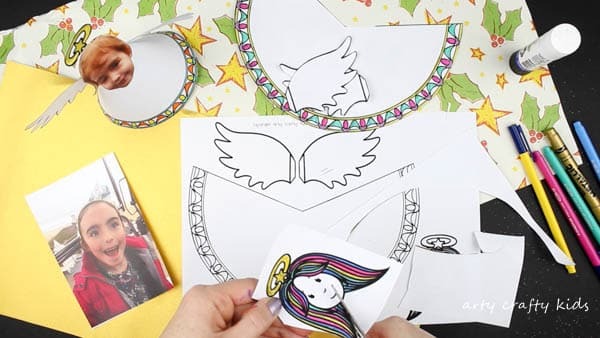 Step 3: Once the Angel is coloured in and decorated, cut out the individual parts. Step 4: Curl the body into a cone shape and secure with glue. Step 5: Add your Arty Crafty Kids choice of face (a photo or template) and wings. Add a hanging hoop using ribbon or string to the back of the Angel Ornament. 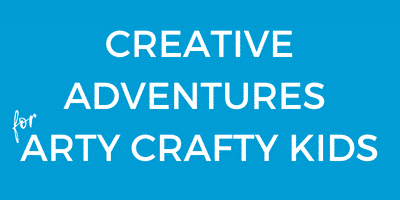 For more easy Art & Craft Projects, join the Arty Crafty Kids club and gain instant access to library of fun printables! Our Paper Angel Christmas Ornament forms part of our growing ‘colour and create’ series, which also includes some gorgeous Paper Baubles.